Online booking and reservation software for any business. If you already have your own webpage you can add our online booking system to your own webpage. Book simple appointments or make complex reservations that require the availability of multiple resources – people, places, or things. Reservation types allow you to set the rules for your online appointments and reservations. You decide which resources need to be available in order for each type to be allowed. Each resource has a unique label and a photo/avatar to display within the calendar. 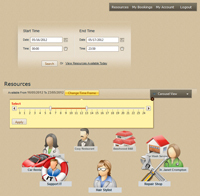 As such, it doesn’t matter which resource types you need to display – human resources, department resources, etc. The dashboard lets you add resources like employees, equipment, rooms, or vehicles, and define which resources are required for each type of reservation you’d like to offer. No matter how complicated your scheduling is, Online Booking Software makes it easy for your customers to book online. When clients book for the first time, they only have to enter their name, email and phone number. Customer may remove (edit) own reservation with ?Pending? status from his reservations table. Respective client will be redirected to the Paypal site for the money transformation. Reservation confirmation email sent to the respective client. Receipts will be generated of successful transaction and shown to the client – if Admin or Resource Owner set booking status: ‘Confirmed’. Time Slots Calendar lets you book time slot bookings during the day / night, collects payments online and lets you manage all reservations. 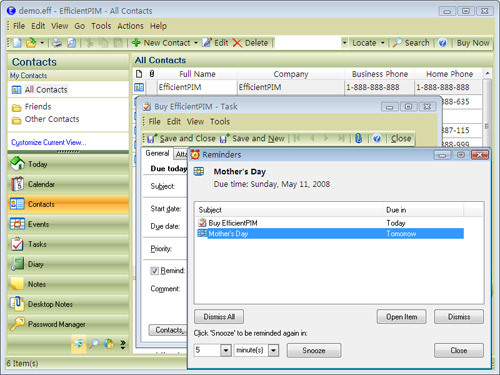 The script is very easy to use and very customizable. You can configure time slot length, enable bookings and payments and manage multiple calendars through an easy to use administration page. We are not priced “per admin, staff or resource” or “per user”. You can use one account on any number of web pages or different websites without any additional costs. TreeDBNotes – Personal Information Manager, Notes manager and many other useful features. All to Image Converter is the fast, easiest way to free convert any document, PDF, Word, Excel, PowerPoint, TEXT, RTF, Webpage of internet, Html, Image, JPEG, TIFF, GIF and so on to any type of images including JPEG, JPG, BMP, GIF, TIFF, TGA, RLE, PNG, EMF, WMF etc in batches with high speed. The output image quality is super good with preserving the original text, image, layout etc. It supports so many formats like pdf, doc, docx, docm, xls, xlsx, xlsm, ppt, pptx, pptm, rtf, txt, html, htm, url and any type of images files jpg, jpeg, bmp, gif, tif, wmf, emf, rle, png, tga etc. Advanced features: Simultaneously convert massive different format files to one certain format once. Convert PDF to image with several conversion modes for a better result. Convert PDF to JPEG,JPG with retaining the original text, image, graphics, formatting of PDF. Convert Office Word, Excel, PowerPoint to JPEG, JPG with ease. Convert one multi-page PPT/PDF to one multi-page TIFF. Convert one multi-page PPT to an animated cartoon GIF. Convert each page of PDF to one single image. Convert all pages of PDF to one single image. Capture the whole web page’s content (including Flash) into GIF on the fly. Convert local Html, Webpage contents of internet to JPG, JPEG, TIFF etc images with retaining the original text, image, layout etc. Extract the text of PDF to convert. Support convert each page of Word/Rtf to one single image. Support set the GIF play times, delay interval, transparent color etc. Merge each sheet of Excel to one single image. Merge multiple images to GIF/TIFF. Adjust the JPG, JPEG quality from 1-100. Adjust the framework size of the loaded HTML, URL with more options. Provide the watermark image settings and watermark character string settings. Set the generated image size.